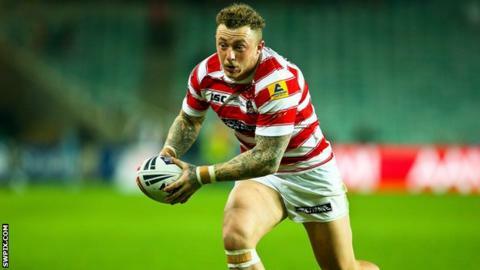 Wigan Warriors could be without England winger Josh Charnley for two months because of a knee injury. The 22-year-old, who has been Super League's leading try scorer in each of the last two seasons, was hurt in Friday's Challenge Cup win at Dewsbury. "He doesn't need an operation but needs time off his legs," said coach Shaun Wane. "He's slightly twisted his knee but there's no ligament damage." The Warriors host London Broncos, who have yet to win this season, on Friday.